After a pleasant experience on the high-speed train, the students arrived the SIAS University in Zhengzhou. The evening activities were less tiring, for the students had to prepare themselves for tomorrow’s Chinese classes. In the morning, the students received a tour from the ardent SIAS students around the campus and discovered that the campus was a mixture of multiple cultures. 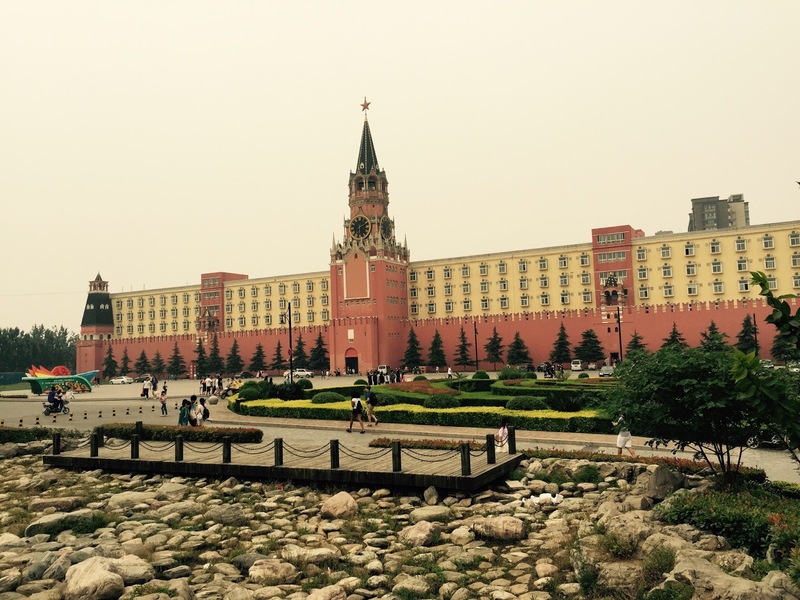 For example, there is the Moscow Square, the Chinese Garden, and the German Street. Charlie Chen, our leader in China, later told us that an American architect called Peter Weis designed the campus. All of us were surprised at first, and later we realized it was not the same Peter Weis at NMH! Classes at SIAS were a lot of fun; students focused on not only academics but also on interesting activities helpful for learning Chinese culture and getting more familiar with the language. For instance, on Tuesday the students had a singing class learning a local folk song along with the American students from the Lee University. On Wednesday, the school’s major calligraphy teacher demonstrated how to hold a brush properly and how Chinese characters evolved over the long course of five thousand years. Later the students practiced calligraphy on their own, and surprisingly many of them found the process calming and required excessive concentration. On Friday, the students learned some kong fu skills with SIAS students. Although it was their first time learning kong fu, the students proved their enthusiasm and talent in martial art. On our first weekend at SIAS, Jing and Hank took the group to visit some nearby famous historical sites. 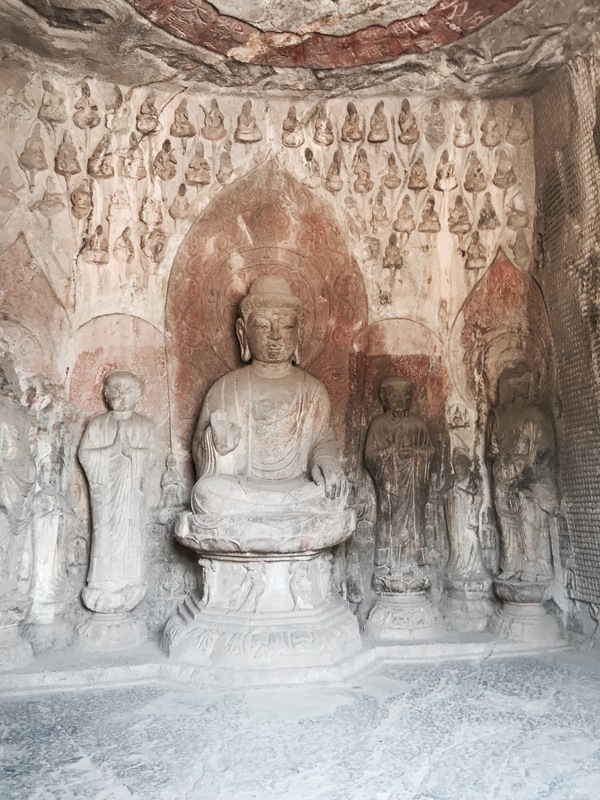 Our first stop was the Longmen Grottoes which contained at least ten thousand Buddha statues. Then we visited Shaolin Temple, the heart of Chinese kong fu whose origin could be dated back to the Tang Dynasty, and the Pagoda Forest. 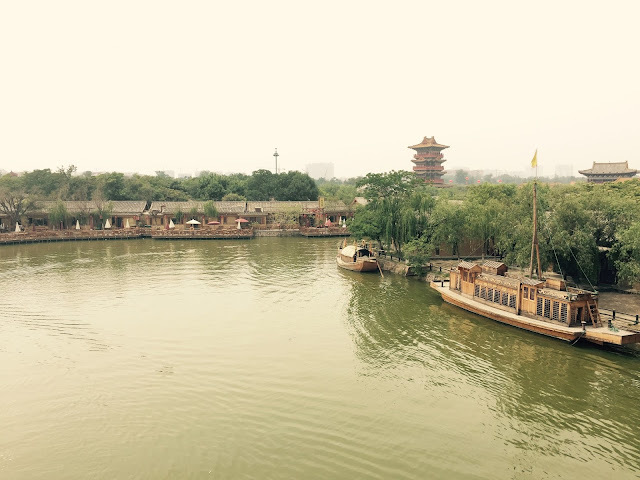 On Sunday, we went to the Qingming Riverside Landscape Garden in Kaifeng which was also one of the six ancient capital cities of China. Here are some thoughts regarding the trip so far shared by Tiamo Blankenship: “We learned about the different social expectations and the United States’s independence and China’s belief in a strong connection within the community. I have enjoyed visiting all of the historical sites at each place. It is nice to learn about the history not only from a textbook, but also from visiting the actual site."